THE EVENTS IS STILL ON BUT THE ENTIRE AGENDA WILL BE DELAYED BY ONE HOUR TO ALLOW EVERYONE TO ARRIVE SAFELY DUE TO THE SNOW. PLEASE REFER TO THE AGENDA BELOW - THE EARLY CHECK-IN WILL START AT 8:00AM AND THE WELCOME WILL BE AT 9:00AM. PLEASE DRIVE SAFELY!! REGISTRATION IS OPEN UNTIL 8:00AM 2/20- CLICK >>>>>HERE<<<<< TO REGISTER. There will also be information sent via email and regular mail. Click HERE if you would like to be added to the email or regular mail list. Thank you to the more than 900 people that attended the 2018 Nebraska Excavation Safety Summit on 2/21/2018. We hope to see you all on 2/20/2019. The 2019 event will take place at the same location - Lancaster Event Center, Lincoln, NE on 2/20/2019. This FREE educational event brings stakeholders in excavation safety together to support the common goal of damage prevention and safe digging. A variety of industry experts speak and provide equipment demonstrations throughout the day. There will also be an excavation equipment skills and safety test as well as a variety of exhibitors/sponsors displaying and demonstrating industry products and services. Plan to attend this unique event! Click HERE or visit our facebook page for videos and photos of the 2018 event. HOTEL INFO: Staybridge Suites at 1501 North 86th St has a block of rooms available for attendees of the 2019 CGN Excavation Safety Summit. The rates are $99 for Queen Studio Suites and $119 for a One Bedroom Two Queen Suite. Guests can call the hotel at 402.484.6000 and ask for the CGN Evacuation Safety Summit block, Central Reservations at 800.238.8000, or by following the hyperlink/ web address listed below and enter the dates needed. 4:00 Closing – Locate Rodeo Awards, Door Prizes, Evaluations and Grand Prize! Crowd shot as Eric Giguere gives the keynote speech. his powerful story had a huge impact. Here is a short video of the event. Enjoy! Congratulations to our 2015 Excavator Rodeo Winners! 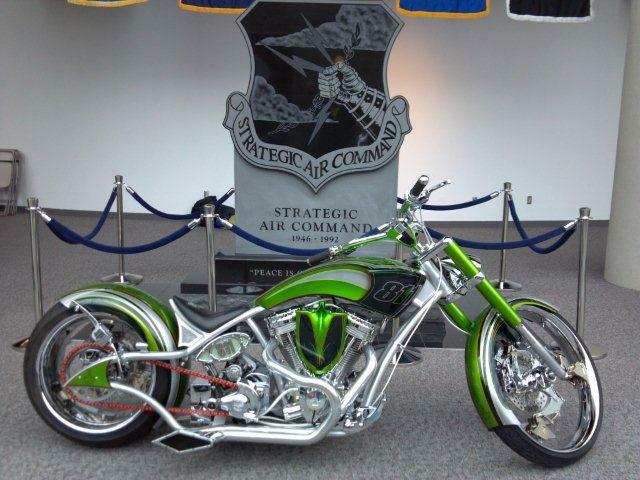 Thank you to all who attended the event on March 7th, 2014. Click HERE to view a slide show of the event. 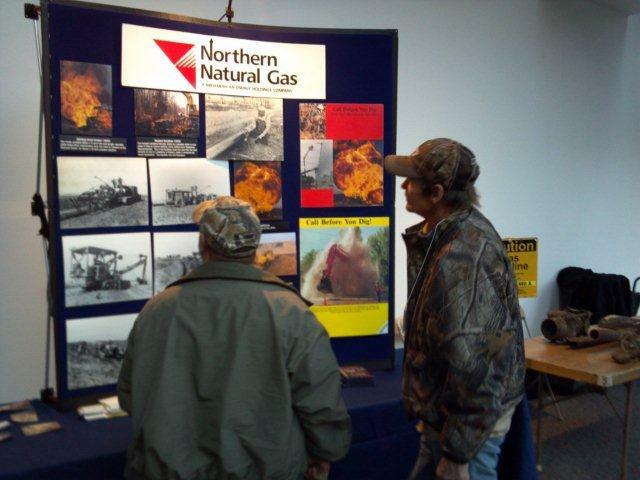 Click HERE to read a review of the event on the Nebraska811 newsletter "Nebraska Underground"
Keynote speaker, Cliff Meidl, addresses the crowd at the beginning of the event. 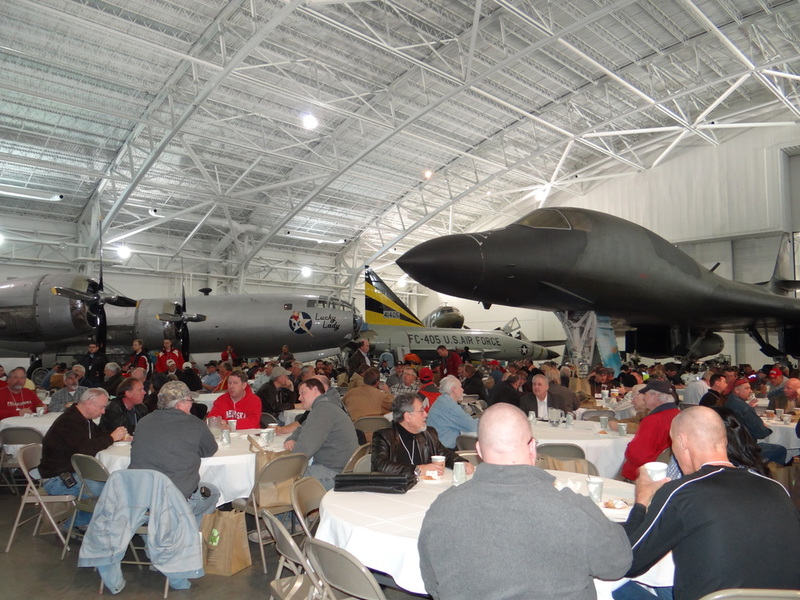 A record number of attendees passed under the the massive wings of the B1 bomber at the Strategic Air and Space Museum to attend the 3rd Annual Common Ground Nebraska Safety Summit held March 1, 2013. Excavators, locators, and utility company members showed up in record numbers to learn and exchange ideas about safe digging and underground utility damage prevention. Attendees were treated to a variety of informative sessions including everything from an analysis of an actual gas line hit to training on how to locate an underground line and safe excavation practices. 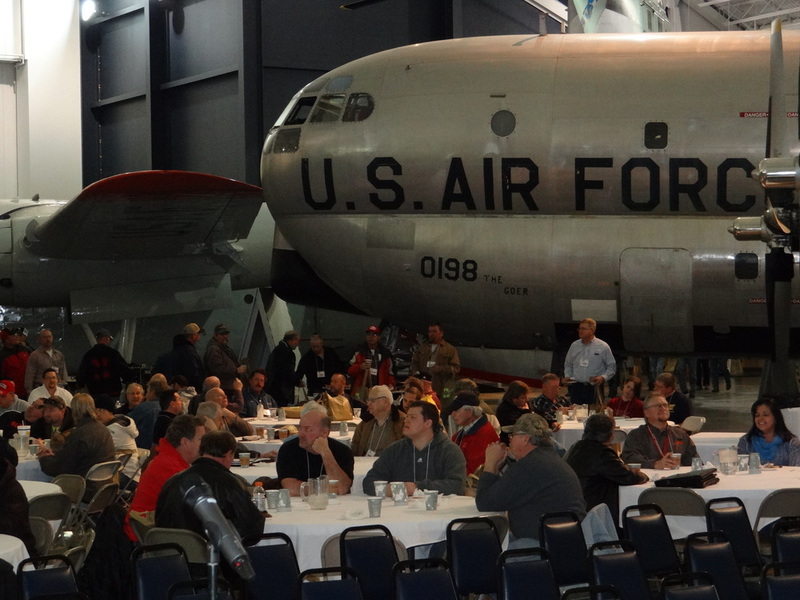 They keynote address for the all day event was presented by Lieutenant Colonel Terence A. Plumb whose variety of experiences in Air Force intelligence was relevant and intriguing to all who attended. The afternoon began with an introduction to the new Digger’s Hotline Call Center vendor, One Call Concepts, Inc. followed by a lively roundtable discussion. During the roundtable discussion, questions from the crowd were answered by a damage prevention panel made up of representatives from the various stakeholder groups associated with underground damage prevention. Exhibitor booths from a variety of associated industries, as well as the “811 bike” (see related article) were available for attendees to visit throughout the event.